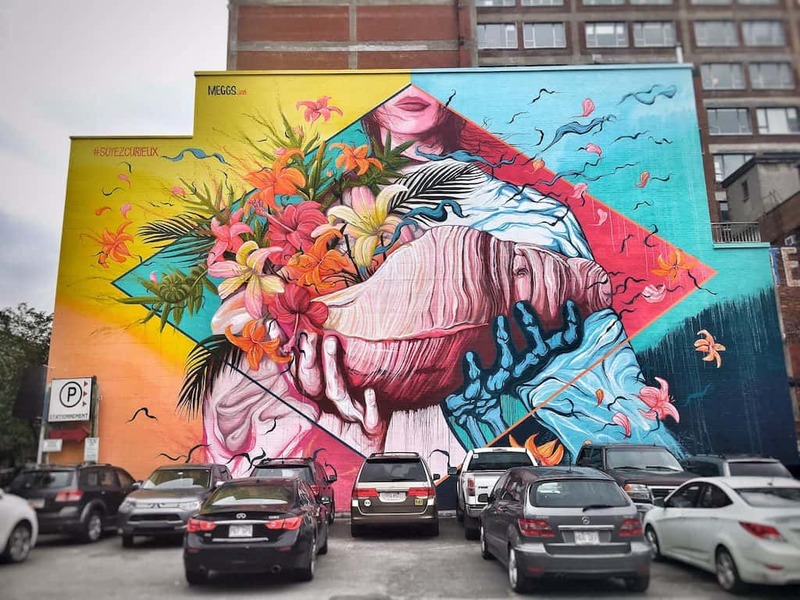 Montreal is all about the art (and the culture of course!) and there’s arguably no better place to gaze at art in open-air wonderment than the area in what was formally known as the Gay Village, but now is just simply known as ’The Village.’ The vibrant neighbourhood was one of my favourites in Montreal and seems to be the central hub of night life in an already lively city. As well as an electric atmosphere – especially when darkness falls – the main street is a wonderful manifestation of public art. The annual art project, entitled Aires Libres, is a selection of installations that aim to tease the senses and challenge perception. This year the exhibition consists of a string of immaculately strung bright red balls hanging in a vivid canopy which literally stretched on for miles – beautiful! Located in Old Montreal, the Old Port stretches for over two kilometres along the St-Lawrence River. In more recent years the area has been (and is still continuing to be) spectacularly regentrified resulting in an industrial meets hip and trendy vibe. Located not too far from the city’s financial district this is where weary suited office workers come to unwind after a hard days work. 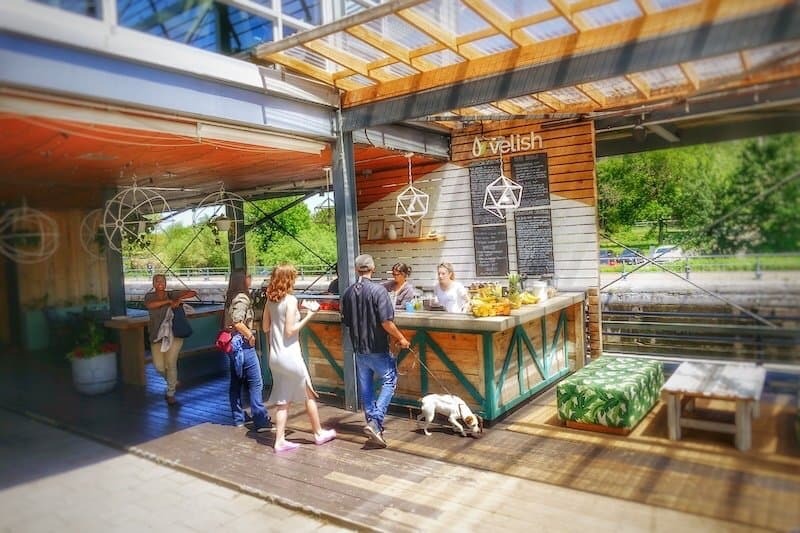 Highlights include Velish a funky organic food and juice bar which serves up a colourful variety of plant-based, dairy free and gluten free options and the stylish champagne bar, La Champagnerie which boasts both an extensive champagne list and tasty upscale American plates. Mile End always ranks as the coolest neighbourhood in town (in fact it was once even ranked as the coolest places to live in the entire world) and I fell in love with their old school bagel bakeries, their vintage boutique stores and the abundance of tech start up offices which gave the area an energetic, progressive vibe. One of my favourite evenings in Montreal was a Mile End rooftop party where I spent the evening supping on artfully mixed creative cocktails, mingling with affable cool geek types and taking in the panoramic city views whilst being warmed nicely by the still very strong evening sun. 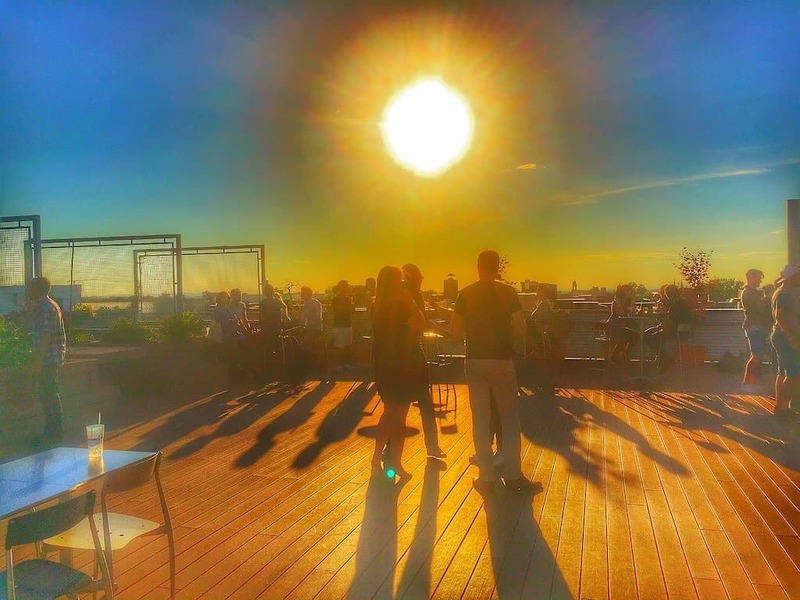 If you can’t wangle an invite to one (there are many celebratory launches and events in this part of town), alternatively head to a rooftop bar in the district instead, the gorgeous cityscape views and undoubtedly cool atmosphere in this hip part of town will ensure it will be a fabulous evening out. 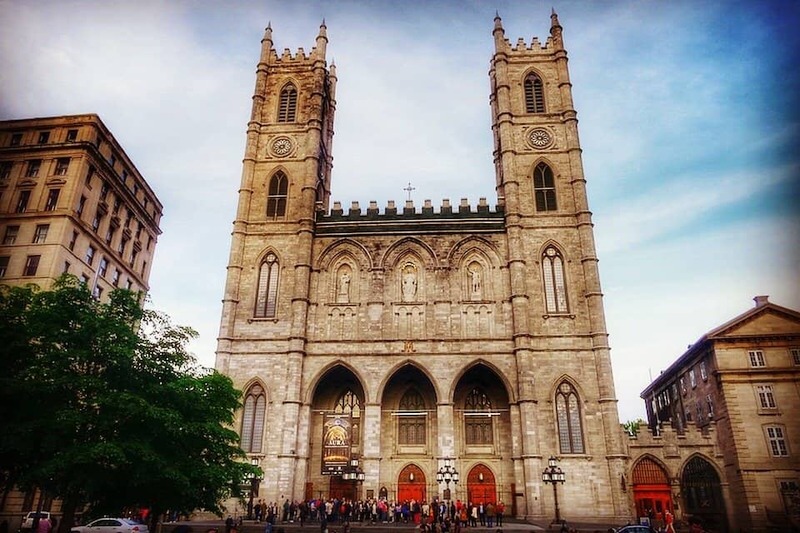 From poutine to fine cuisine, Montreal is a well-known culinary haven, and as well as the prevailing French influence, the city’s superb restaurants also take inspiration from all over the world. A gorgeous gem of a place is Chambre à Part, a newly opened trendy restaurant and a place I dined at on my last evening in Montreal. 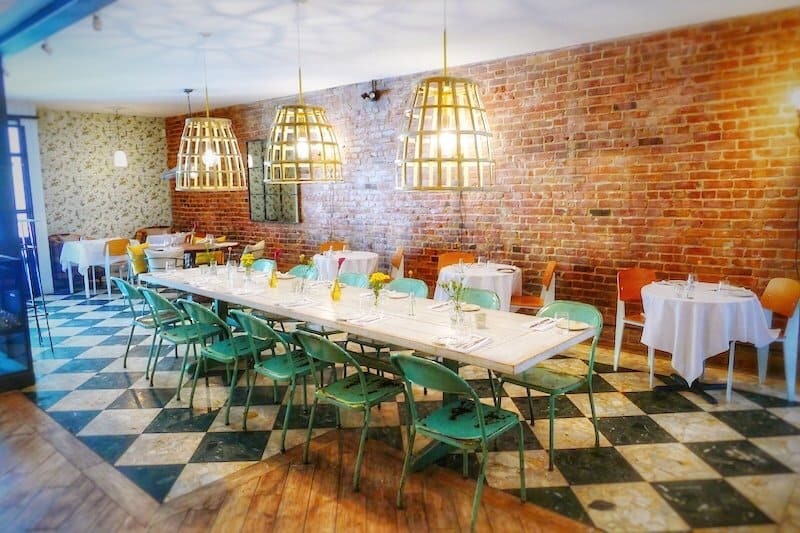 Located in the funky Latin quarter, the immaculate but whimsical decor consisting of mismatched chairs, black-framed windows and exposed brick walls which made it just my kind of place. Unique decor aside, other reasons to visit are the exceptionally friendly staff, and of course the exquisitely presented dishes (and cocktails too – they have their own on-site mixologist) consisting of such creative – and organic – culinary delights like Hamashi, sake, Japanese medlar with a chickpea, jalapeño, radish and black bean cantaloupe followed by a leek, huckleberry, cashew and sumac risotto – the divine food was just as eclectic as the decor! 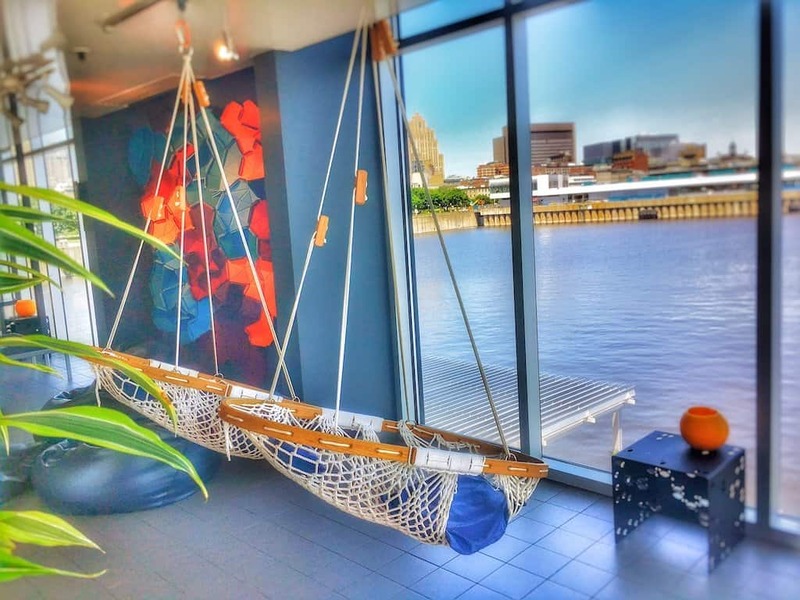 Docked at the Old Port, this trendy – and very popular – contemporary spa is magnificently fashioned in an old ferryboat. With more than a hint of a Nordic influence and lashings of industrial minimalist chic, Bota Bota hosts some of the most sublime views and interior decor along the St. Lawrence River. I spent a blissful morning here resting my weary sightseer’s legs and when it was eventually time to leave it was very hard to prise myself away from the bubble of zen-like peace. Alongside traditional spa treatments, an elegant restaurant and a top deck jacuzzi, the spa is also home to a fine garden filled with an infinity pool, another more spacious jacuzzi, an immune boosting cold bath and a handy smattering of hammocks and designer furniture to lounge around on. 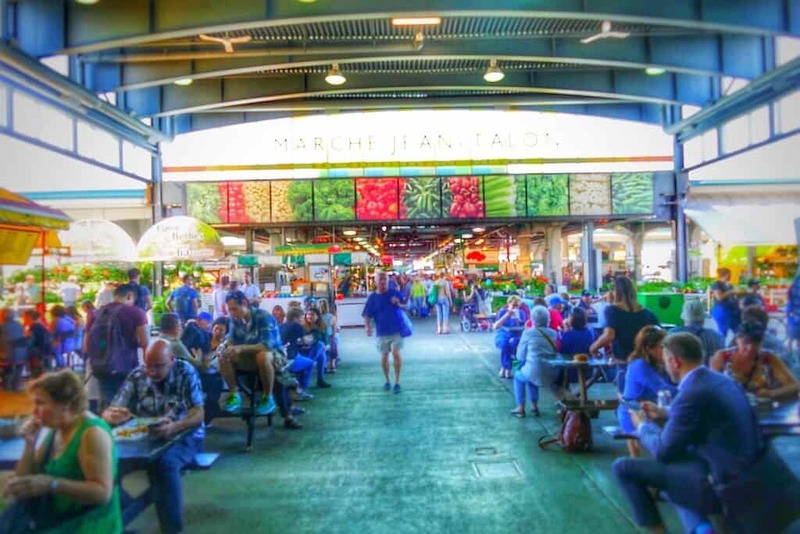 Located in the heart of the colourful, vibrant neighbourhood of Little Italy, is Jean-Talon Market one of the oldest public markets in Montreal. Known for its numerous local fruit and vegetable vendors, as well as the cultural diversity of its shopkeepers, this is the place to come and munch on thick wedges of lovingly home made hummus, olives, warm bread rolls among many other tasty treats. The friendly laid back, independent stall owners are also more than eager to chew the fat about their tasty artisan wares. I loved the relaxed vibe here, the fresh and unbelievably delicious locally grown fruit and vegetables and also its varied multicultural fayre which ranged from aromatic Indian spices to Portuguese custard tarts. It’s the perfect place to while away an hour or two on a weekend, but of course, make sure you head there with your stomach empty! Mont-Royal park lookout is a darling among Montrealers for so many reasons. 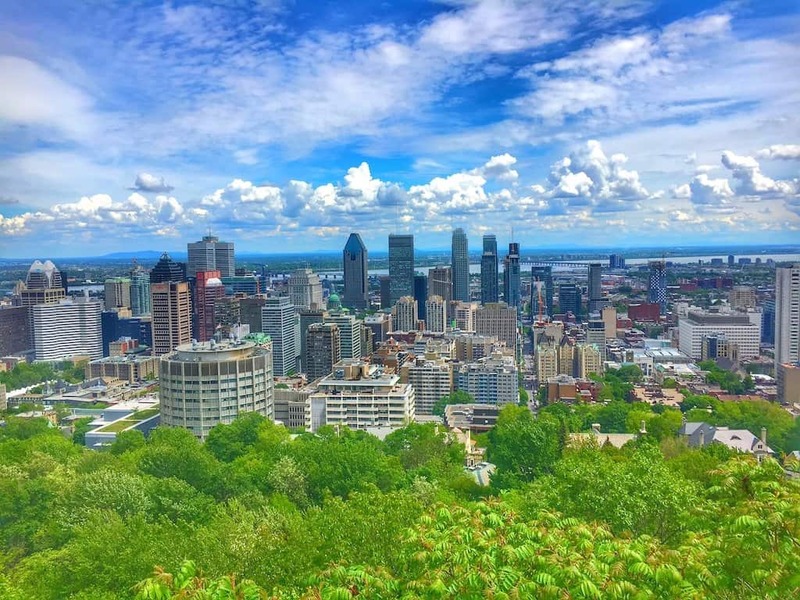 One is the unbeatable views of Montreal’s downtown district and another is the unrivalled atmosphere on a sunny weekend where people find a deck chair, a bench or even a low wall to kick back and take in the beautiful city vista, often accompanied by an alfresco piano recital. Here you can take in views of the East side of the city, with the Olympic Stadium, downtown high rises, and the financial district. It’s easily worth the fairly steep inclined walk through the main park or a bus ride to the viewpoint if you fancy cheating a bit. French signposts and menus aside, I loved that Montreal’s French influence is strongly evident throughout the city and a perfect example of this is the ultra-charming Cafe Parvis, a place that could easily have been found residing on cobbled back street in Montmartre, Paris for instance. 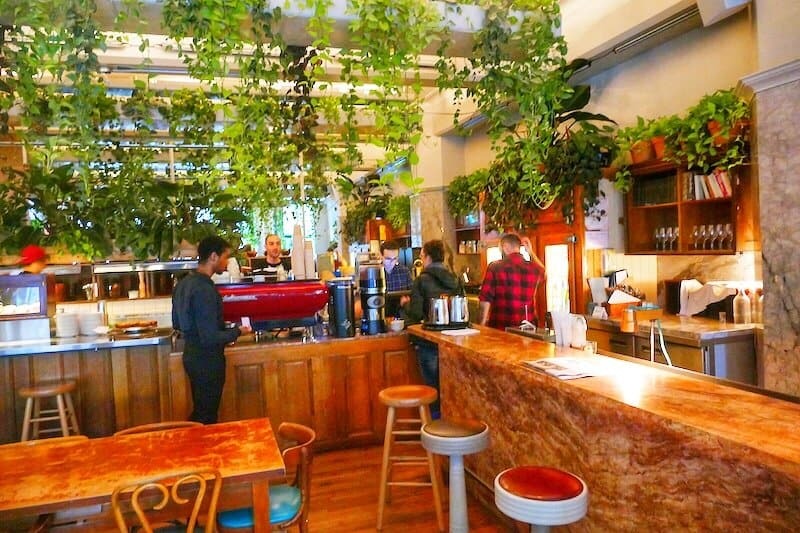 Filled with an abundance of both warm light and beautiful plants, it’s an elegant and cosy cafe with serves up creative fare washed down with either fine French coffee or a healthy chilled Kombucha tea. 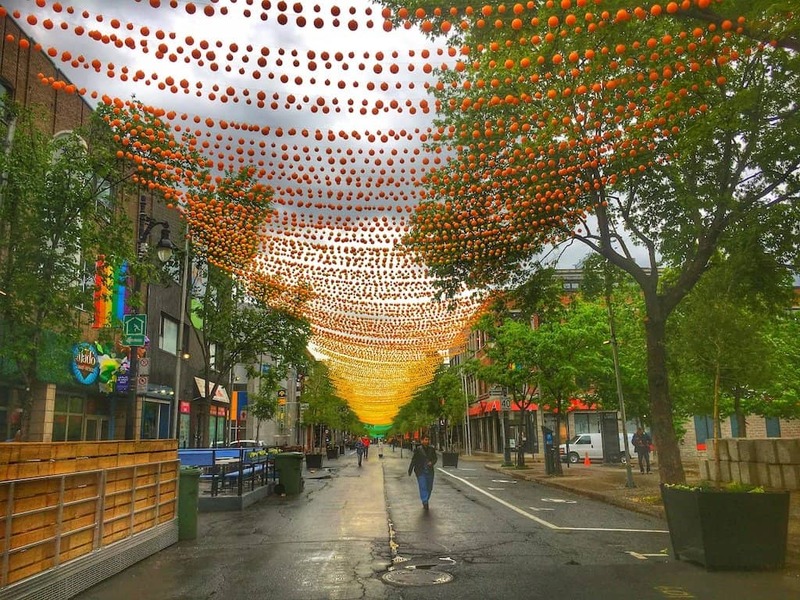 Priding itself on being the cultural hub of North America, the vibrant French Canadian city offers festivals galore – an all round calendar of festivals in fact. I was lucky enough to catch an off-beat, eclectic and highly energetic performance at the Monument-National Theatre which beautifully summed up the city itself. Part of Transamérique Festival, the star of the show was a Spanish Falmenco dancer who took us on a surreal and slightly comedic journey through lights and shadows in what was billed at “virtuoso flamenco imbued with rock concert.” By the end of the evening, it had even gained a raucous standing ovation from a clearly captivated audience, a perfect way to end any travel snob worthy Montreal trip!